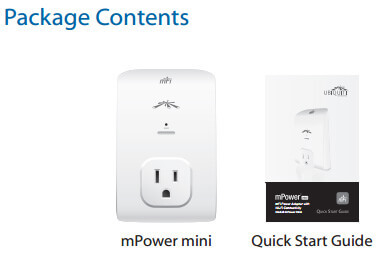 The mPower Mini features independent, switchable AC ports and energy monitoring. 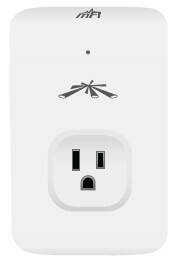 The mFi mPower readily connects to any Wi-Fi network. The mFi mPower™ PRO model also includes Ethernet capability. 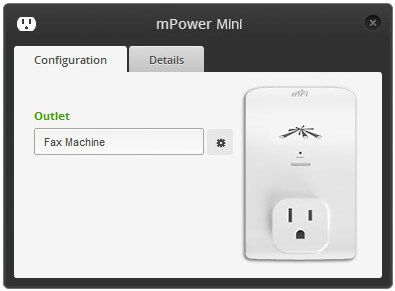 mPower Mini is managed and monitored from the mFi Controller software. Operating Temperature 95% RH Max. 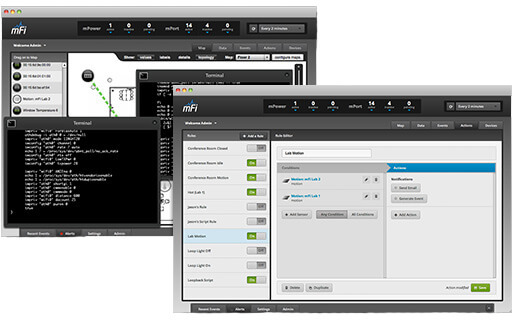 The mFi Controller software is designed to work with the Ubiquiti Networks mFi product line and third party devices. 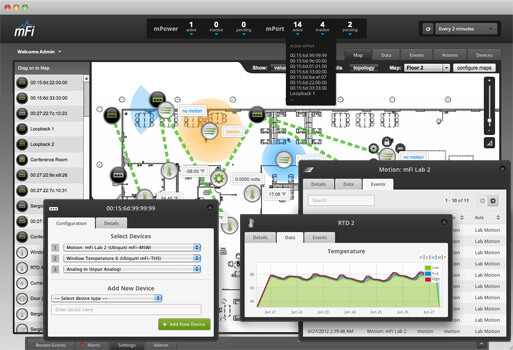 The software interface design is based on the popular and easy-to-use UniFi™ software interface. 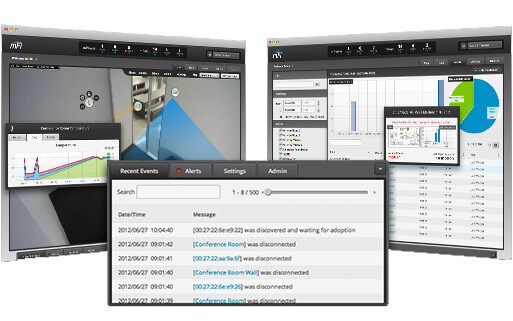 The mFi Controller software allows you to manage your mPort, mPower, mSensor, and third-party devices from your web browser. Maps — Upload map images of your location(s) for a visual representation of your machine network. 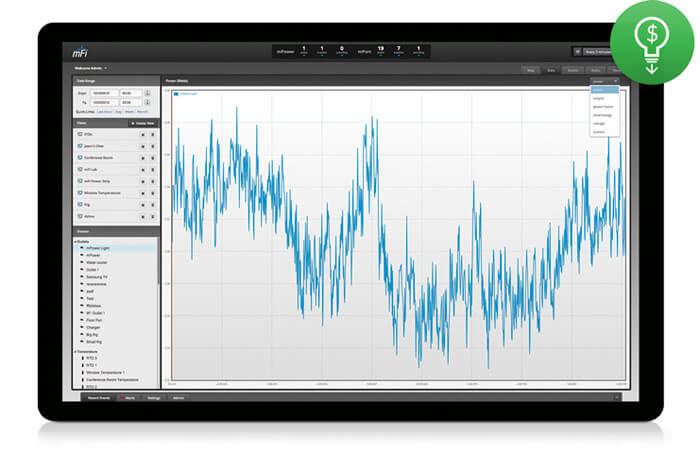 Customizable Data Views — Display information on your machines and sensors in a customizable view with selected times and date ranges. Advanced Rule Creation — Create powerful relationships and automation in your machine network with complete freedom. 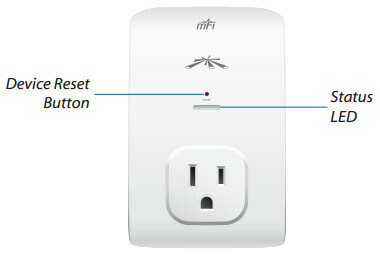 Download the Ubiquiti mFi Datasheet (PDF).